The Osage Veterans Memorial Commission will help the Osage Nations Museum in Pawhuska unveil a new memorial honoring veterans this Sunday. 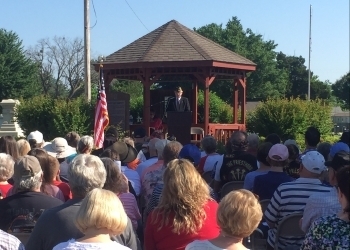 Maria DeRoin, the Osage Veterans Memorial Consultant and Central Communications Coordinator, says it has been fun watching the project come along. DeRoin says she expects the memorial to look very nice when it is completed on Sunday. For anyone interested in coming to the unveiling, it starts at 9:30 a.m. at 819 Grandview Ave. in Pawhuska.